Appearing in Domesday as HUNDEMANEBI (early Danish, which roughly translates into "The Farmstead of the Houndsman") the entry adds:- 'one church, one priest'. 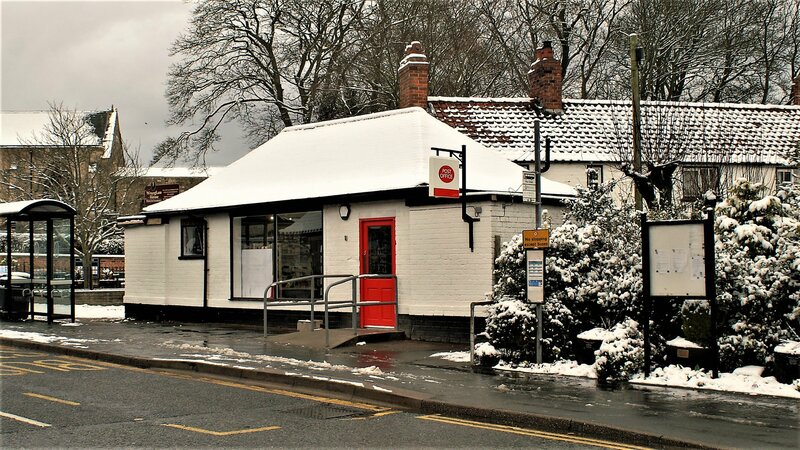 Found nestling in the eastern escarpment of the wolds, facing and adjoining the North Sea in Filey Bay, Hunmanby was an important road junction for travellers wishing to enter the hinterland from the east. Little is known about this period, Hunmanby being an earlier Saxon settlement with almost certainly a church. After the Norman "harrowing of the North' in 1080, Hunmanby Manor was given to Gilbert de Gant, a Norman overlord, of Bardney in Lincolnshire, for his assistance in the above campaign .A Norman 'motte and bailey' was built on what is today (2016) Castle Hill. An aisle-less church was erected which over the centuries was modified to its present design. The de Gant family remained in Hunmanby for many years, Gilbert's son Walter, a great church benefactor, founded and endowed the Augustinian Priory at Bridlington. The de Gant's, as Lords of the Manor, granted two charters for 'fairs' and claimed all that was washed up in Filey Bay above the low water mark. The small fishing community of Filey (then) being part of the Hunmanby Manor. Gent's 'History of York' 1730, mentions Hunmanby as 'one of the twelve market towns in the East Riding'. In 1629 the Osbaldeston family bought the Westroppe manor and during the next 200 years gradually obtained more and more land. This is indicated by them gaining the Lordships and Parishes of Filey, Muston, Reighton, Wold Newton, Fordon, Foxholes, Langtoft, North Burton and Thwing. Only the male side could inherit estates, and gradually the direct Osbaldeston line died out. Humphrey Brooke of Brayton, Selby, the grandson of Theodosia Osbaldeston was the next in line and he inherited the Hunmanby Estate in 1770. He then changed his name to Humphrey Osbaldeston-Brooke. Humphrey Osbaldeston-Brooke was 24 and remained Lord of the Hunmanby (and associate) manors for 65 years, dying aged 90. In that period he formed the Hunmanby agricultural eastate of approximately 8,500 acres by the enclosure of 1809, making the present landscape of farms and roads. Hunmanby Hall, built in the late 1600's by his predecessors was altered by the addtion of the South and North wings, the Hall Park bounded by trees etc. He formed 'The Volunteers', an artillery force, during the Napoleonic wars for local defence. Together with the then vicar, Archdeacon Wrangham, a school was formed 'on Lancastrian lines'. On his death the estate moved over to two more 'great-grandsons', first Betram and in 1842 his brother Robert Mitford. Admiral of the Red RN. Who was the last true Lord of the Manor to live in Hunmanby Hall. A fine man, whose daughter married Tyson (later Lord) Amhurst - she designed and painted the shields which were given by her husband, that still grace the interior of All Saints, Church. On the Admiral's death, his villagers voluntarily subscribed for a memorial. It is 'the Admirals arch', gateway to Hunmanby church. Now the estate moved to the Mitford family who lived in Mitford Castle, Durham. Hunmanby Hall was let to several tenants, the most important being Lord Cecil who had married the Admiral's eldest grand-daughter. He was comptroller to H.R.H Princess Beatrice, Queen Victoria's cousin and for the latter years of the nineteenth century, Hunmanby Hall played host to Royalty during the summer season. About 1900, Sir Dennis Readett Bayley, newly appointed High Sheriff of Yorkshire rented the Hall. He eventually bought the estate and sold some parts to tenants and others in 1920-21. Hunmanby Hall was then purchased by Lord Nunburnholme but went back onto the market in 1925. Finally it was sold to the Methodist Education Committee and altered into a Girls boarding school in 1928. This school closed in 1992. 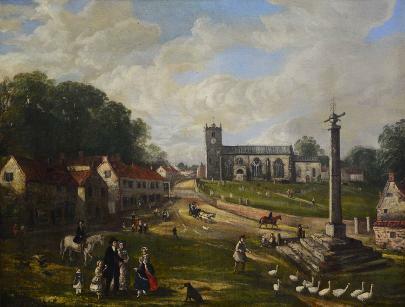 During the nineteenth century, Hunmanby had five places of worship. All Saint's Church, Baptist Chapel (with it's own graveyard), Wesleyan and Primitive Methodist Chapels and the Temperance Society. There were also several 'Dame Schools', the last operating up to 1920. The original Church school was re-housed in Stonegate in 1905 and later still in its present premises in the 1970's. Land at Primrose Valley was sold and housed three boarding Schools. The railway came in 1847 and a brickworks established alongside shortly afterwards. Agriculture entered the steam age with traction engines etc and Messrs.W. Parker and Sons built an engineering works next to the Station. Parker's also operated a brickworks and finally took over the original brickworks, building kilns and operating with a portable steam engine. 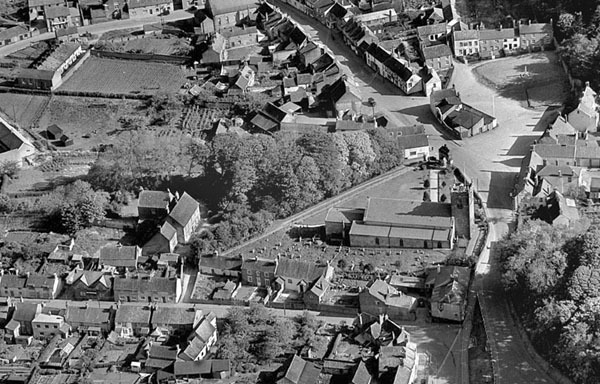 Due to the farming requirements, Hunmanby also had three ropeworks which supplied the farms and fishing industry locally. 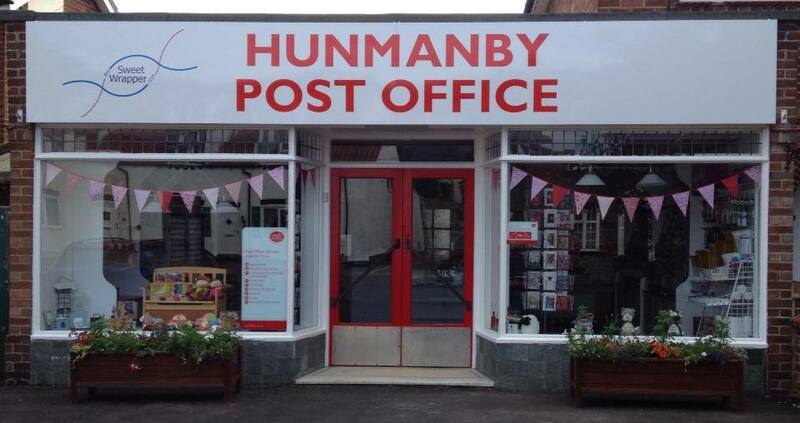 During the Local Government Acts of the late 1800's, Hunmanby was demoted into a village, with a Parish Council. Filey, now much enlarged became the local 'town' with an Urban District Council (pre-1974). Development started between the wars and after World War 2, in the 1960-70's many new estates were added, together with many new roads, the population doubling. Today, 1999 and on the verge of the New Millennium Hunmanby is a well balanced community, still with an agriculture background but becoming more and more a retirement area.